Lighting at a wedding reception or ceremony should partake in celebrating romance. The Vintage Tea Light Lantern manages to display romance in a playful way. While no aviary animals should fly within it, this tea light lantern in the perfect decorative birdcage for a wedding. 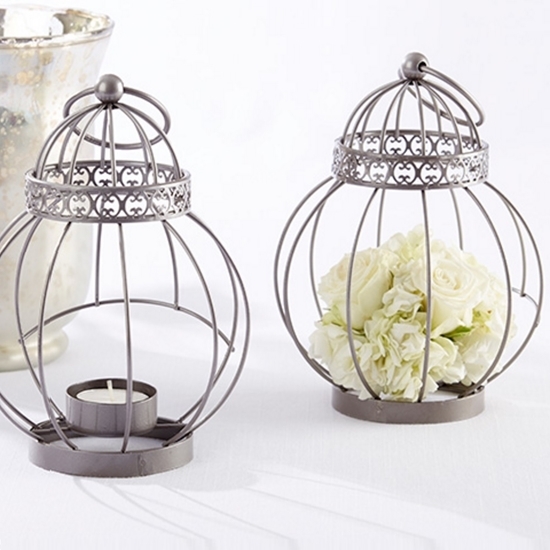 With a unique circular design finished in a lovely antique silver, and a reliably durable metal construction, you have yourself a lantern sure to please the eye and mind.